Voted by the Daily Mail and Cosmopolitan as one of the top ten anti wrinkle creams that really work. 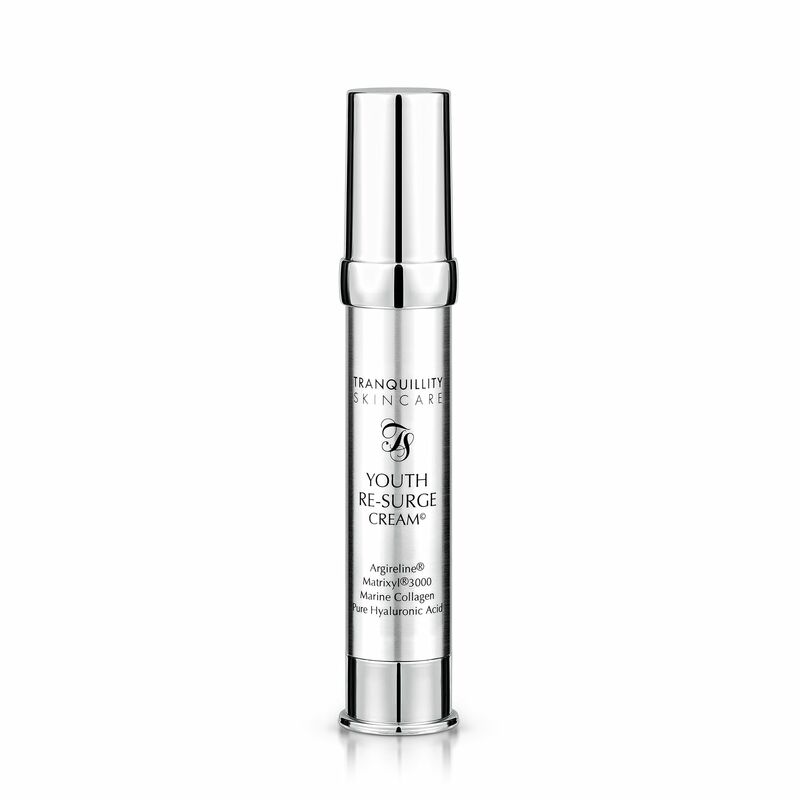 Containing Matrixyl - the magic ingredient Youth Re-Surge is is an ultimate maximum performance anti ageing moisturizer super rich in de-aging peptides, anti wrinkle botanicals and anti oxidants significantly addressing aging tell tale signs of lines, wrinkles and loss of elasticity. Apply after cleansing to face and decollette morning and evening. "Amazing Cream thank you so much!" "This is fantastic stuff- I love it!" "Wonderful...I used a single application and see results- Promise"
"Fabulous Cream -This cream is excellent I have used it for nearly a year and I would highly recommend it your skin feels so much better and looks radiant." "Five stars - Good product"
"Still the best face cream I have ever used . Goes on easily." "Love it - I think it does what it says on the 'tin'...but be patient and the results will show and you will be pleased." "I bought the cream because it contains Matrixl which was recommended . Have been using it for seven weeks and can see improvement in my skin and I hope these improvements will continue." "Truly ever female should use this. I have used lotions and potions over the years some as much as two hundred quid but nothing absolutely nothing is as good as this. Truly brilliant and this company should be awarded a medal"
"Gorgeous item in every way. Will be back for more"